There has never been a better time to invest in the Orlando Resort Rental Market. With prices at an all time low and rental revenues on the rise, this fixed asset is performing on average far better than any investment portfolio or purchased bond. Want to find out more about how Vista Cay Realty and Millenium Management can help make your money work for you? Email [email protected] and request a market analysis today. Whether you are looking to buy or to sell, Vista Cay Realty is your expert in all things related to Real Estate. Centrally located to all Orlando Theme Parks and a half-mile from the Orange County Convention Center, Vista Cay Resort by Millenium seamlessly transforms Orlando vacation condo rentals into Orlando vacation ownership. Our resort is perfectly poised on Universal Boulevard (the next big development district in southwest Orlando), steps away from the Orange County Convention Center and just minutes from the Orlando International Airport, world-class attractions and the cultural hub of Downtown Orlando. This location is quite unique in that it appeals and completely caters to both vacationing families and business travelers. Within steps from your Orlando Condo is dining, entertainment, relaxation, shopping and adventures, which can be enjoyed for hours on end. Plus, all of the comforts of home may be found within the aesthetically pleasing and architecturally distinct walls of your vacation condo. The same holds true for the masterfully planned resort community gates of Vista Cay. 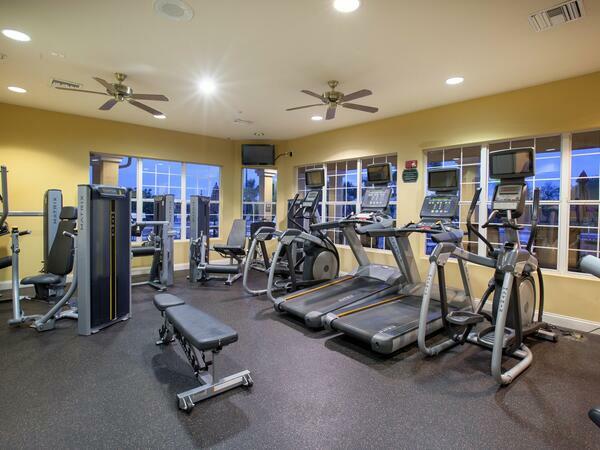 There are three distinctly different unit types here at the Vista Cay Resort. The first model is the Two- or Three-Bedroom, Deluxe Condo Suite. It ranges in size from 1,100 to 1,400, depending on the floor plan. These accommodations have full kitchens with Corian® counter tops, living room / dining room combinations and quaint balconies. They are the least expensive units at Vista Cay and are extremely popular for rental. Next is the ever popular Three-Bedroom Executive Town Home. These unique properties boast three bedrooms and three-and-a-half baths with their own driveways and garages. They are built on three levels with a King sized master bedroom and ensuite bath on the ground floor. The second floor has a full gourmet kitchen with Corian® counter tops, a large dining room / living room combination and a half-bath. Finally, the third floor has two more bedrooms with another King Size master bedroom - this time with a walk-in closet and an ensuite bath with dual sinks. The third bedroom is Queen size and, again, has ensuite bath. Finally is the piece de résistance, the Two- or Three-Bedroom Premium Condo Suites. This luxurious model features spacious units ranging in size from 1,800 to 2,100 feet. Along with the size is the additional upgrades such as 18-inch ceramic tile, granite counter tops, stainless steel appliances (when available), separate formal dining rooms and large balconies. The bathrooms are larger than those of other units and the master has two sinks, separate Roman tubs and glass enclosed showers. For more information and a list of current properties for sale or rent, please email: [email protected] or call: 407-729-4003.